KM 84, Small diaphragm condenser microphone from Neumann in the KM 84 series. Nuemann Km 84 delivers a very clean and crisp recording. No need to filter out the bassy low end, this mic is very accurate with what it records. Sonically the response has a nice presence peak in the upper mid range, but the top end rolls off quickly after that. Opinion is split about whether that is a good or a bad thing – it helps keep a lid on feedback, but it doesn’t sound as hi-fi as some other mics. I have had some singers complain that their vocal top end is not quite right - sometimes asking for more top end. I guess they are used to the sound of expensive condenser mics on their recordings. If you A/B test an Nuemann Km 84 verses other mics it will always win. The proximity effect (increase in bass when you sing or talk close to the mic) makes this important. If the singer is a foot away from an Nuemann Km 84 , the chances are they will sound thin, and you will also have gain before feedback issues. 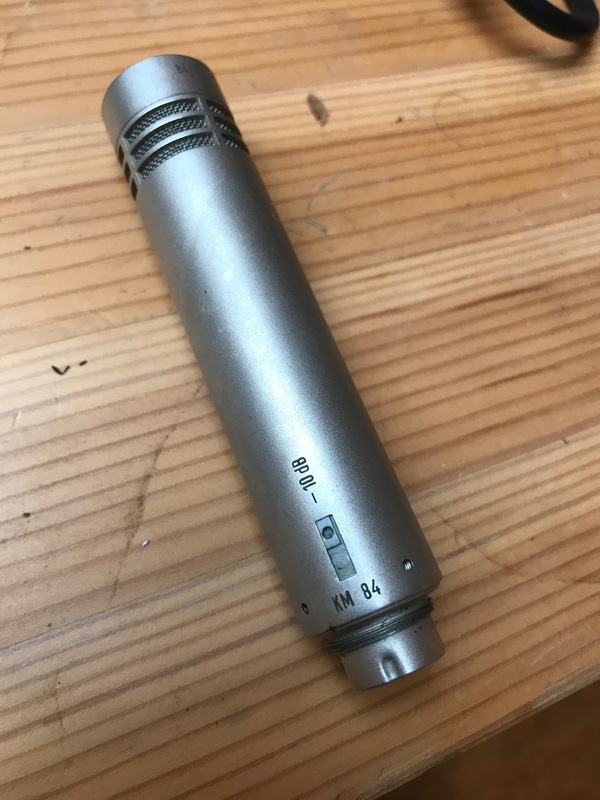 There are a lot of mics that will give you a sound like this one and maybe even a better sound than the Nuemann KM 84 but are they built to last? Not too many of them are, either that or they too expensive for the average home engineer or musician. This mic will out shine a lot of its competitors in the years to come. 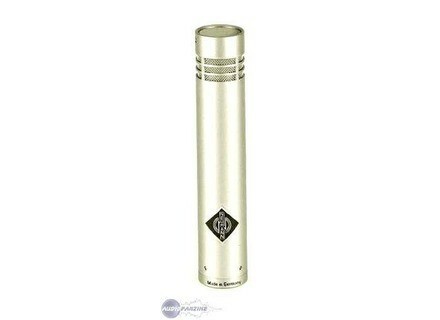 Nuemann has kind of been under the radar because of all the other great mics on the market. But this one will bring them to the for front soon. The Nuemann Km 84 is practically unbreakable, and if you do manage to drop it from a high stage / skyscraper, you can also buy a replacement pop shield. Very suited to rock, or other musical styles that need powerful vocals. mooseherman's review"Great High-end SDC mic!" 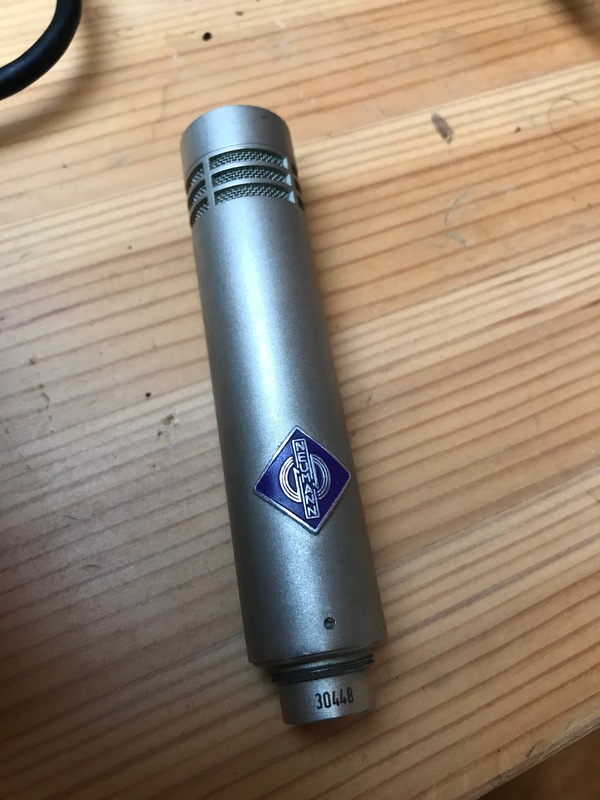 This is a recording microphone that is mainly suited for use in the recording studio, as it is a relatively fragile piece of gear and shouldn't be trifled with. Though I'm sure they'd be great for live drum overheads, they're just too pricey to really use in that context, as a venue's acoustics would render all the pristine sonic details irrelevant and you'd be just as satisfied with a cheaper set of mics. It's a small diaphragm condenser microphone made by Neumann, a German manufacturer with a stellar reputation among recording engineers and recording enthusiasts. It requires phantom power to operate so make sure that your preamps have phantom power, or at least that you have an external source of phantom power to make it work. I really enjoy using these microphones in the studio as drum overheads. They are a very pristine-sounding microphone. It worked incredibly with great high-end detail as well as clarity in picking up the entire kit. With a good EQ you can use these to get a wide variety of sounds out of different instruments. Another good use for this is for strings, acoustic guitars, and other stuff as well. I've used them as drum room mics as well. Basically these are great for getting a high end sound that has plenty of warmth. They are much warmer than the KM184 which has essentially replaced them. Because they've been replaced by the KM184 they are hard to find, and are generally kind of expensive. However they are really great and certainly have a more classic sound than the 184s, and are really better than most small diaphragm condensers in general. They're really worth having if you have nice preamps and good converters, as a cheap home setup won't justify the cost of this mic. So studio owners would do well to find these. 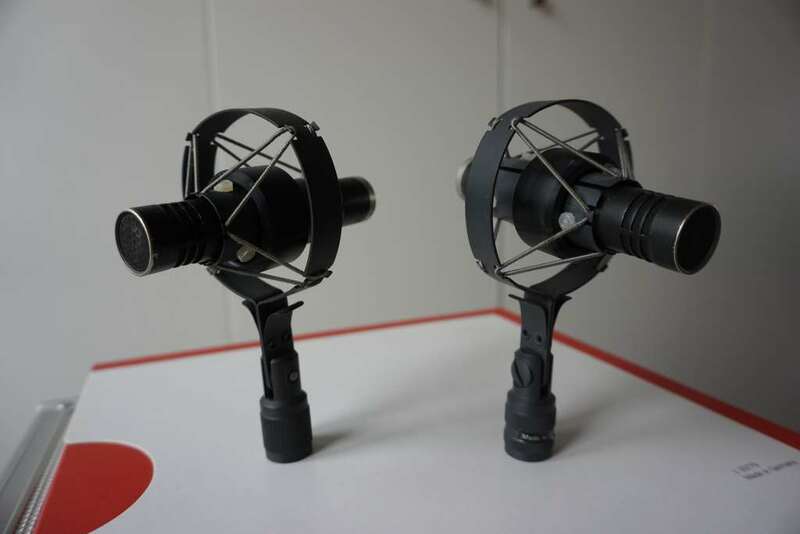 The Neumann KM 84s are a pair of small diaphragm condenser microphones. They are designed for use in the recording studio and since they are expensive and fragile they aren't meant for live recording or use outside of the studio. I've been using the Neumann KM 84s for about a year and they are definitely some of the best small diaphragm condenser microphones that I've used. 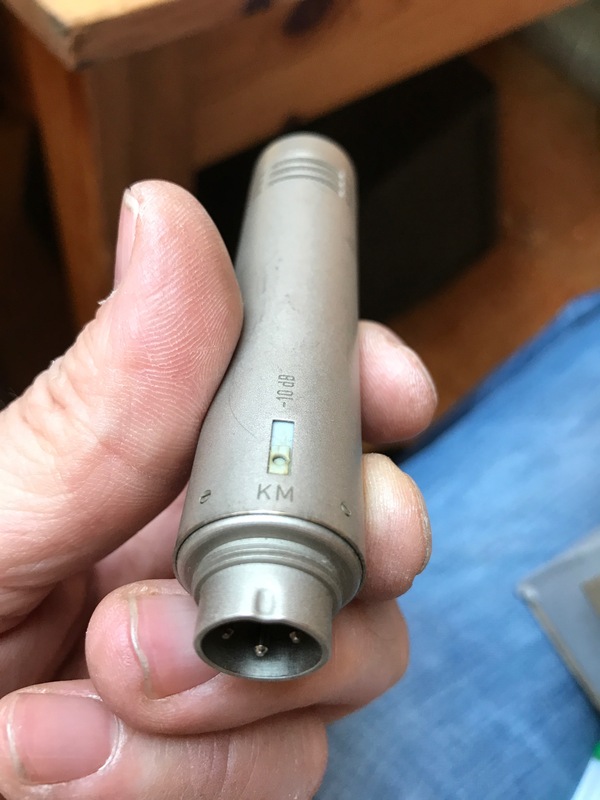 While they are very similar to the modern KM 184s, these are the microphones that they made before these newer models and in some ways they sound better. While most wouldn't be able to tell the difference and it doesn't really matter because both the KM 84s and the KM 184s are incredible mics, but these seem to have a slightly warmer sound. I've used the Neumann KM 84s mostly as drum overheads and they really give you an awesome sound for this. I've also used these mics for recording violin, mandolin and for picking up the high end on an acoustic guitar. They will work great for pretty much any application where you want a crisp high end sound. Since these mics have the Neumann stamp you know that you are getting a great mic as I've truly never used a Neumann microphone that I didn't enjoy using. However, because these are no longer made they are pretty hard to find and will cost you a bit more money than the newer KM 184s. For this reason unless you stumble upon a good deal on these, it is probably best just to pick up a pair of KM 184s because they are easier to access and have a very comparable sound quality. All in all, the Neumann KM 84s are an incredible set of microphones that I wouldn't highly recommend to any professional or home studio owner who can afford them. - Very right curve and despite all very accurate: I did catch acoustic guitars (steel string luthier, good classical nylon and custom manouche), clarinets, baritone sax, percussions, bass: c ' is sumptuous: prcis, clear, full: dfinitive in very close rel timbre of instruments. -11/10 If we find a good occase.J'en have two. Difficult to find + versatile, warm, prcis.